The concept for Fracture Bow’s was originally developed by builders looking for ways to quickly excavate hard, rocky ground in remote landscapes. Its use as a weapon was quickly realized and the Ilfelin High Princess commissioned three of the weapons for the royal legion. 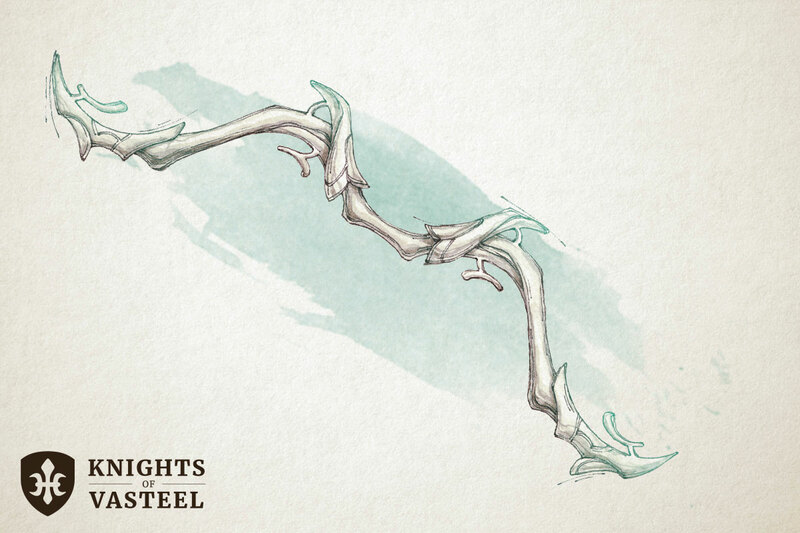 At first glance, a Fracture Bow could be misidentified as an over-sized longbow. Picking it up, however, reveals its heft and imposing draw weight. The High Princess required her elite forces to do special strength training so that they could all handle the bow should the need arise. She also developed special tactics to hide an archer wielding the bow from attacks while the weapon charged its devastating strike. When you make a ranged attack with this longbow, it deals an additional 1d8 Force damage. Additionally, Instead of making a ranged attack with the Fracture Bow on your turn you can use an action to draw the bow. While the bow is drawn, you are unable to make any actions except to release the bow. If you take damage or if you move from your position, you release the bow without any effect. As an action, you can release the bow. When you do, choose a point up to 150 feet away. All creatures within a radius determined by the draw time must make a Strength Check. On a failed save, the creature takes full damage from the attack. If the creature is size large or smaller it is knocked prone. On a successful save, the creature takes half as much and remains upright. As an option, this weapon could level up as players grow in strength. Use the following table to level up the weapon.